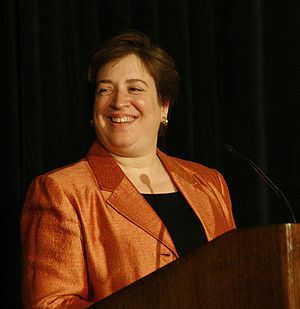 Aside from an apparent lack of experience as a practicing attorney, General Kagan brings strong academic credentials and judicial experience on the Nation’s most powerful appellate bench. It is singularly interesting to watch one Republican after another decry General Kagan’s nomination when many, if not most, of these same Senators were all but committed to supporting President George W. Bush‘s failed nomination of White House Counsel Harriet Miers, a far more political position than Solicitor General. You can watch the hearings on C-Span3’s Live Stream. You can read a full overview of General Kagan’s background here. This entry was posted in courts, Supreme Court practices and procedures and tagged Elena Kagan, George W. Bush, Harvard Law School, Oxford University, Senate Judiciary Committee, Supreme Court, Supreme Court of the United States, United States Senate Committee on the Judiciary. Bookmark the permalink.